Expand access to Reyataz for HIV/AIDS patients in Brazil. In November 2011, BMS signed a technology transfer agreement with the Brazilian Ministry of Health to further expand access to Reyataz® (atazanavir sulfate) for patients with HIV/AIDS in Brazil. BMS will help build the capacity and skills required for the Brazilian government to produce a sustainable, high quality supply of atazanavir and will enable the government to become, over time, the sole source of atazanavir in Brazil. The agreement transfers the manufacture and distribution of atazanavir sulfate 200 mg and 300 mg capsules in Brazil from BMS to Farmanguinhos, a technical-scientific unit of Fundação Oswaldo Cruz (Fiocruz) and the largest official pharmaceutical laboratory of the Brazilian Ministry of Health, and Nortec Quimica, a local manufacturer of active pharmaceutical ingredients (API). The Ministry of Health is a body of the Federal Executive Power that is in charge of organizing and outlining public plans and policies oriented to promote, prevent and assist the Brazilians’ health. The Ministry should provide the conditions to protect and recover the population’s health, reducing diseases, controlling endemic and parasitic diseases, besides improving health surveillance and ensuring better quality of life to the Brazilians. Promote the population’s health through integration and the establishment of partnerships with federal bodies, the federative units, municipalities, private initiative and the society, contributing to improve the quality of life and the exercise of citizenship. Fundação Oswaldo Cruz (Oswaldo Cruz Foundation, known as Fiocruz), attached to the Brazilian Ministry of Health in Rio de Janeiro is the most prominent science and technology health institution in Latin America. Its main objectives are to promote health and social development, to forge and disseminate scientific and technological knowledge in the field of Public Health. Inaugurated on May 25, 1900 Fiocruz was given the mission of fighting the great problems of public health in Brazil and Latin America. Today the institution is responsible for a range of activities which include research development in Public Health; highly-regarded hospital and ambulatory care services; production of vaccines, drugs, reagents, and diagnostic kits; education and training of human resources; information and communication in the area of health, science and technology; quality control of products and services, and the implementation of social programs. Fiocruz has over 7,500 employees and health professionals. With their expertise on environmental health, environmental justice, and “post-normal science” the members of this team will lead the work package on Environmental Health (WP7), and contribute their unparalleled knowledge of environmental justice movements in Brazil to the work package ‘data base of environmental justice conflicts’ (WP2). The institution is responsible for apply the diplomacy of health in the foreign policy negotiation of the country, as well participates in the capitation process to international support and the collaboration offer in a bilateral scope, with different countries with which Brazil maintains stable and dynamic relationships. Its international performance is growing; both in the sense of North-South cooperation involving more developed nations and institutions, and in relation to South-South, formed by developing countries as most integrant of the Community of Portuguese Language Speaking Countries (CPLP) and those forming South America and the Caribbean. To meet and coordinate these demands, it was created in 2009, the Centro de Relações Internacionais em Saúde (Center for Global Health - Cris), an advisory office of the Presidency to manage and support the initiatives of the Vice-Presidencies and technical units of Fiocruz. Cris is in charge for implementing the institutional strategies at the global scope and for coordinating the international cooperation activities. The Foundation runs more than a thousand research and technological development projects, which produce knowledge for the control of diseases such as AIDS, malaria, Chagas' disease, tuberculosis, hanseniasis, measles, rubella, schistosomiasis, meningitis and hepatitis, and other topics related to public health , including violence and climate change, and the history of science. Fiocruz is the main institution non-university on training and qualification of human resources for the SUS (Unified Health System) and for science and technology in Brazil. It has 18 programs for post-graduate studies in several areas, a technical school and several programs in the broad sense. 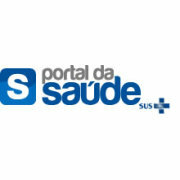 One of Fiocruz’s main missions is manufacturing strategic products for the Brazilian unified public health system (Sistema Único de Saúde -SUS). With one of the largest public pharmaceutical laboratories in the country - the Drug Technology Institute (Farmanguinhos) - Fiocruz contributes with nearly 40% of the drug purchased by the Ministry of Health from official laboratories, but accounts for only 5% of these expenditures. Farmanguinhos generates savings to the public coffers, especially because it masters production technologies for drugs used in AIDS treatment, allowing the government to regulate prices charged by other laboratories and even to determine compulsory licensing of medicines, as occurred with Efavirenz, an antiretroviral. Fiocruz has also one of Brazil’s largest public laboratories for vaccine production: the Immunobiological Technology Institute (Biomanguinhos), which manufactured nearly 130 million doses in 2008. Biomanguinhos is the world’s largest manufacturer of the vaccine against yellow fever, and the only Latin American laboratory certified by the World Health Organization (WHO) for this purpose. It also manufactures vaccines against polio, meningitis A and C, MMR, monovalent Hib and Hib+DTP. As of 2007, the latter started to be produced using 100% Brazilian technology. In addition to vaccines, Biomanguinhos annually produces about six million reagents for diagnosis of HIV-1, HIV-1 / 2, Chagas’ disease, dengue fever, leishmaniasis and leptospirosis. Fiocruz units offer a variety of health services, always in connection with teaching and research activities. Each year over 80,000 primary care outpatient visits, nearly 130,000 procedures of reference care and thousands of hospitalizations are made. The Instituto Nacional da Saúde da Mulher, da Criança e do Adolescente Fernandes Figueira - IFF (Fernandes Figueira Institute) carries out an important work related to breastfeeding and is a reference for children with cystic fibrosis and other serious illnesses. The hospital offers the only free-care ambulatoty for medical genetics in the country, and a modern nursery for high-risk newborn infants. Assistance to patients with infectious diseases such as STD/ AIDS, tegumental leishmaniasis, fungal infections, Chagas’ disease, TB and dengue, among others, is the specialty of the Instituto de Pesquisa Clínica Evandro Chagas (Evandro Chagas Institute of Clinical Research - IPEC). The Instituto Oswaldo Cruz (Oswaldo Cruz Institute - IOC), on the other hand, boasts a clinic for Hansen’s disease treatment. Consisting of eight primary health care teams, the Germano Sinval Faria School Health Center serves primarily the residents of impoverished communities surrounding the headquarters of Fiocruz, Manguinhos, in Rio. Each year it performs over 50,000 medical examinations in addition to providing other international standard services. The Center carries out activities related to teaching, research and development of new procedures in the public health sector, with special emphasis on the Family Health Program. The service to the Manguinhos community was extended in May 2009 when the 24-hour First Aid Unit (UPA) was inaugurated as a result of a partnership between Fiocruz and the federal and state governments. 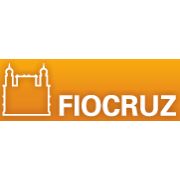 Fiocruz develops a range of activities related to the handling, processing, preservation, distribution and dissemination of scientific and technological information needed for actions in public health and science and technology in the health area. Tools for dissemination include scientific publications of international reference, audiovisual productions (especially Canal Saúde and VídeoSaúde), broadcasting programs on public access channels, in educational and cable TV, and community and university TV channels. Fiocruz publishing house also plays a fundamental role in this sector, focusing on public health and science, as well as the Radis Program (Gathering, Analyzing and Disseminating Information on Health), which publishes material aiming to disseminate information on public health. The Foundation has several programs in social communication area, designed to inform society about its operations. In addition it offers an integrated system of ten libraries, whose collection contains about 300,000 books and monographs. In 2008, over 380,000 users visited the libraries, historical buildings, scientific exhibitions and Museu da Vida (Museum of Life).